For seven seasons, fans of the hit ABC drama "Scandal" have followed Kerry Washington as Olivia Pope, a top political fixer who has evolved through plot twist after plot twist. Tony Goldwyn and Kerry Washington in Scandal, Season 2, 2012. Now, Washington is saying goodbye to her iconic character as the series, which made her a household name, comes to an end. “You’re in people's homes. It's a weekly appointment with you. You know, how many people in your life do you love that you make time to spend an hour with them every week? Not that many, right? So it's a very intimate relationship and it changed the nature of how people recognize me,” said Washington. Kerry Washington and Tony Goldwyn in a scene from "Scandal." Before her character worked for the White House on the show, Washington herself worked for the Obama administration in real life. She has spoken out about issues like gun control and women’s rights, and addressed the Democratic National Convention. She takes the duty of citizenship just as seriously as her pioneering role as the first African-American woman in nearly 40 years to star on a network drama. At a time when many female actresses in Hollywood are stepping forward to fight for equal pay and recognition from their male counterparts as part of the #TimesUp movement, Washington says her co-star Tony Goldwyn, who plays her on-again, off-again love interest on the show, deserves “enormous acknowledgement” for supporting her in her leading role. “Tony Goldwyn is a straight white man with extraordinary privilege, and he joined our show and never once demanded that he be the most powerful person in the room. Never once demanded that it be his face on the poster. He created a platform for me to be the lead of that show, and to lead that cast, and supported me every step of the way,” Washington said. “And I think it's a really powerful example for people who find themselves in positions of privilege and power, that you also have the opportunity to allow others to step forward. Whether it be a woman, or a person of color, or a person who just doesn't have the access that you might because their name isn't Goldwyn, right? Like, he really created a space for all of us to lead and to shine,” she added. 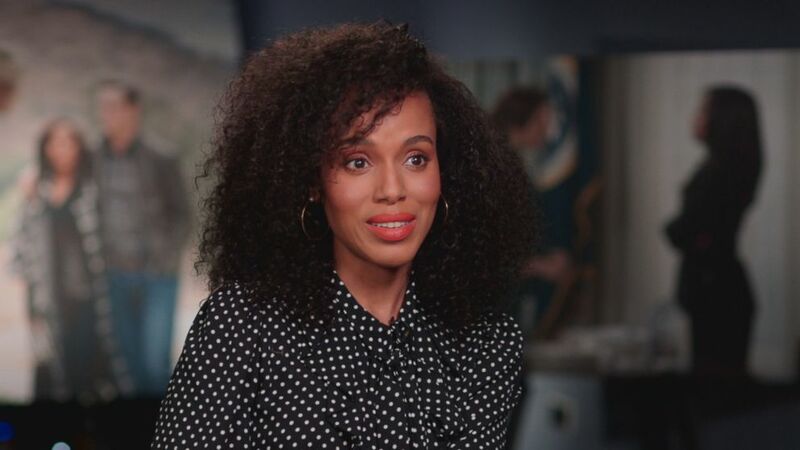 "Scandal" star Kerry Washington is seen here during an interview with "Nightline." Outside of acting, Washington has her own production company, Simpson Street, which focuses on projects that place an importance on inclusion and sisterhood. As one chapter of her life comes to a close, Washington says it’ll be hard to say goodbye to her fans, who are known as "Gladiators," a nod to Olivia Pope's ruthless crack team of problem-solvers. These devoted fans have launched the show into a social media phenomenon. 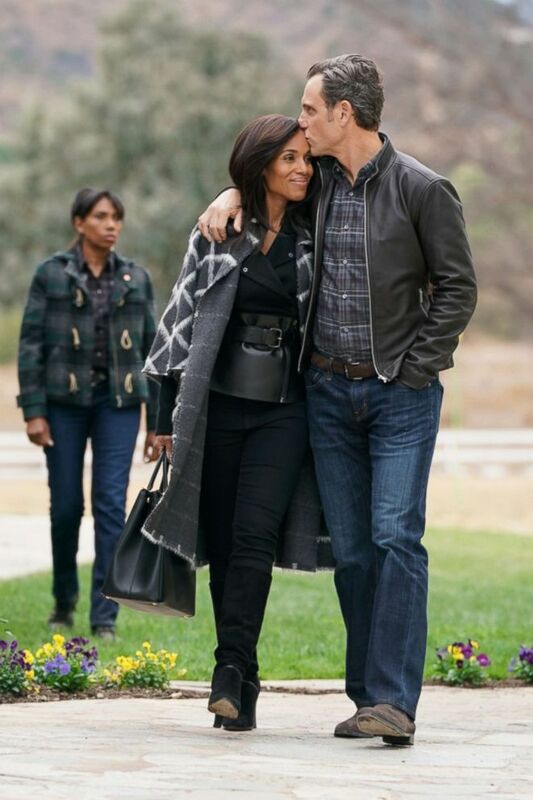 And the show’s finale is an emotional one, Washington revealed. Watch the full story on ABC News' "Nightline" TONIGHT at 12:35 a.m. ET.